There are apps for everything these days. This includes helping your child calm down and learn skills to improve their behavior or manage intense emotions. Sometimes a little help is at the tip of our fingers, and can help you child better fast. 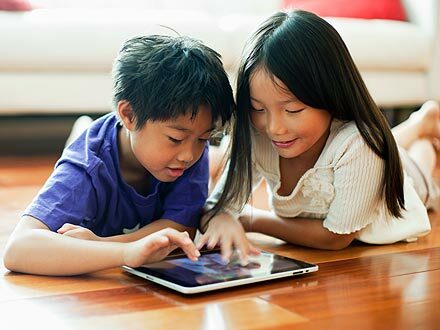 Here are five apps to download now to help your child through his or her day or alleviate some of life’s stressful moments. What does it do? Calm Counter is a visual and audio tool to help people calm down when they are feeling anxious or angry. This app and great apps others by Touch Autism offers information about anxiety, tools for physical relaxation, mental relaxation techniques, and more. Calm Counter includes a social story about anger, and audio/visual tools for calming down. Having to wait for something can be a difficult behavioral skill to learn and manage. Calm Counter was developed by a team of university psychologists, computer scientists, and students. The app includes guidance for putting self-help into practice and a closed social network for users to support and motivate one another. What does it offer? Many children with ADHD, autism or disabilities find it hard to deal with the frustration that can accompany waiting or the anxiety caused by transitioning between tasks. The social story and its visual support as well as the visual timer found within this app have been shown to help ease anxiety associated with waiting, transitioning and reducing problem behaviors. The easy-to-use app opens up to a “I need a break screen” that vocalizes “I need a break” when it is tapped. The screen then transitions to a screen with an angry face and the number ten. With each tap the screen transitions to a calmer face and color. In this way, the app prompts the children to count backwards from ten followed by a deep breath. The app also includes a simple social story with line drawings about anger. The social story talks about intense feelings and provides skills to use in the moment; such as counting to ten, breathing deeply and taking a break, to calm down. What does it cost? $2.99. Available for IOS and Android. What does it do? 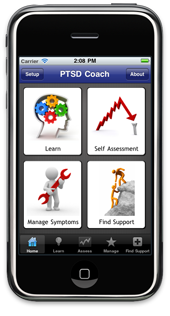 The PTSD Coach app can help children and adults learn and manage their symptoms that can occur after trauma. Alongside professional medical treatment, PTSD Coach provides children with trustworthy resources and was created by the VA’s National Center for PTSD in partnership with the Department of Defense’s National Center for Telehealth and Technology. Family and friends can also learn about PTSD and coping from this app as well. What does it offer? This app was created by the National Center for Telehealth & Technology, and draws on a therapeutic method called Pleasant Event Scheduling (PES). PTSD Coach suggests activities based on your child’s location and interests, allows children to invite friends, saves favorite spots and activities for future use — and if they can’t choose, they get to “pull the lever” and see what the app sends them. PTSD Coach offers reliable information for screening and tracking symptoms, convenient,tools to handle stress symptoms, direct links to support children when they need it, providing them and you with facts and self-help skills based on research. The questionnaire used in PTSD Coach, the PTSD Checklist (PCL), is a reliable and valid self-report measure used across VA, DoD, and in the community, but it is not intended to replace professional evaluation. What does it cost? Free. Available for IOS and Android. NOTE: PTSD is a serious mental health condition that often requires professional evaluation and treatment. PTSD Coach is not intended to replace needed professional care. What does it do? iRewardChart is a custom and interactive app that brings the traditional reward chart onto mobile devices. iRewardChart helps parents keep track of their child’s good behavior, and reward them appropriately. IRewardChart is an app that is all about reward has been rewarded itself by the media, press, and users. What does it offer? There are two versions of the app, Pro and Lite. The Lite app is free, and has a limitation of one kid and 4 tasks per week. Children earn stars for their accomplishments. When stars have been earned, children can pick from the default list of suggested rewards or parents can set up their own custom rewards, especially tailored to the specific child. Examples of tailored rewards are “$2 Pocket Money” or “One Hour of TV.” Children feel challenged, responsible and respected by their ability to complete a task and feel rewarded. iRewardChart also allows parents to set up many different types of rewards specifically catered to their child. This app also allos a backup and sync service so that parents and children can share their chart from multiple devises. The free version allows for a maximum of one child and four tasks per week, but the Pro version allows for more. What does it cost? Free for Lite. Available for IOS and Android. What does it do? AmbiScience™ takes children on a sonic journey through a combination of ambient sounds and a variety of several effective programs that attune their brain to desired states of mind using entrainment frequencies to help their sleep cycles. This allows children to tune their minds to help them fall asleep. There are also several apps that are scientifically proven to help adults sleep too. What does it offer? 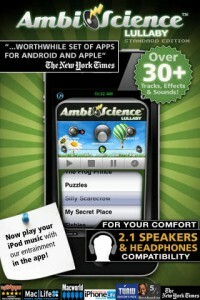 AmibScience overs more than 30 musical tracks, effects and sounds samples. Once your child chooses a particular frequency, such as the ‘sleep’ frequency, the app facilitates by helping achieve this state faster. This involves a mixing of tones sent to each ear – the difference between the two tones that your brain creates is called binaural entrainment. This app also include isochronic entrainment, which is a different form, using a single pulsating tone in each ear. Children who don’t respond to binaurals often do respond to isochronics entertainment. AmbiScience is the only app that includes binaurals and isochronics all in one. AmbiScience also offers Progressive entrainment, which is a gradual inducement to their chosen entrainment, and this is done by starting at the waking state frequency and gradually moving the child down to his or her chosen frequency. What does it cost? $1.99. Available on IOS and Android. What does it do? MindShift is an app designed to help teens and young adults cope with anxiety and change how they think about their anxiety. Rather than trying to avoid anxiety, teens can make an important shift and face it with the help of this app. As a collaboration between AnxietyBC and BC Mental Health & Addiction Services, this app uses research-based findings to help teens alleviate their own anxiety. What does it offer? MindShift is a portable coach that helps teens and young adults face challenging situations and take charge of their own lives. This teen-targeted app offers strategies for facing anxieties related to socializing and school. 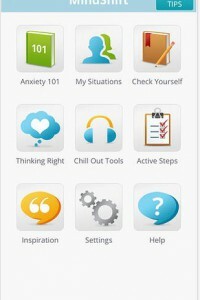 It offers journaling tools, positive thinking exercises, mood trackers and relaxation skills. MindShift helps with anxiety in teens and young adults through by them learn helpful ways to reduce anxiety. These specific tools help tackle: test anxiety, perfectionaism, social anxiety, performance anxiety, worry, panic and conflict. What it costs: Free. Available for IOS and Android.